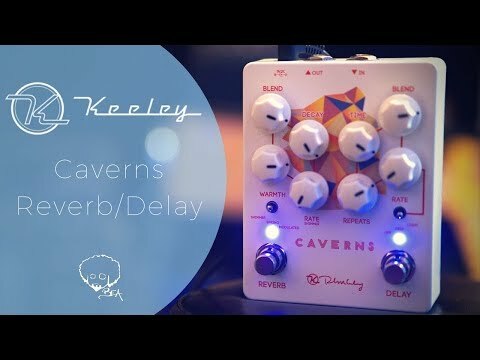 The Keeley Caverns Delay Reverb V2 dual-effect pedal combines delay and reverb for the perfect end to any pedal board. It features Keeley’s analog-style tape delay with modulation options. The 650ms of warm delay combine with Spring, Shimmer or Modulated Reverb. Caverns now comes with a True-Bypass or Trails option. 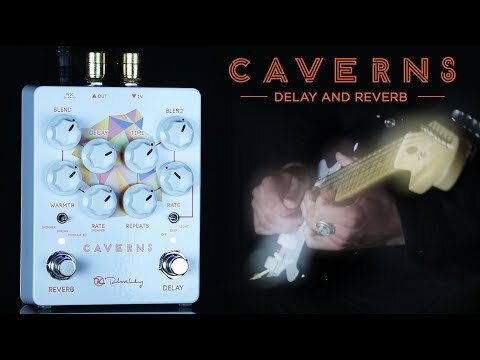 Because of its small and compact design, the New Caverns is a perfect fit for any fly-rig or small board where you have tight space requirements. The New V2 features Keeley’s most popular time-based effects, blended perfectly via a design fine-tuned for over 2 years. Simply put, it will be an amazing addition to any board.